The power of the superhero, like any hero, is also a weakness, a shadow. So the hero rejects his special powers in a quest to be human, But he fails because it means he rejects part of himself and leaves his world open to the forces of darkness. It is only when a hero forgets the self, accepts their power and confronts the darkness with it that they finally succeed in becoming who they are and find their true humanity in a synthesis of the divided self. 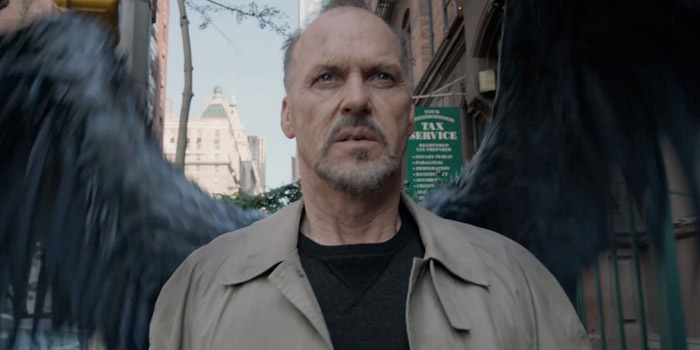 Contextual embellishments and misdirection aside, Birdman plays this trope straight down the line and it feels fresh as a daisy. It embraces its own power.